The 25R is one of our favorites from our testing at high currents. The problem is there are many counterfeits on the market but you can be sure these 25R's are genuine. We've done extensive testing to be sure they're authentic so you can be confident you've got the real thing. (The cut off for these cells is 2.5v). Operational Discharging Temperature Range: -20 to 75 degrees C (best below 60 degrees C). Operational Charging Temperature Range: 0 to 50 degrees C (best below 45 degrees C). And check the battery size : 14500 is 14mm x 50mm. Replacing all batteries with Rated Capacity 1.0Ah, 1.1 Ah, 1.3Ah, 1.4Ah, 1.5Ah. Battery Size : 14mm x 50mm. Features : Widely used in Power Tools, Shavers and small cordless units. Series : WV2, WV50, WV55, WV60, WV70, Plus, Premium, White and Classic models. Features : Latest 2019 - High Quality 18650 Battery Upgrade for Karcher Window Vac Cleaners. Battery Size : 18mm x 65mm. Nominal capacity: 2100mAh. they can have marks on and - ( see photo ). Nominal capacity: 2100mAh. year code -ZC26-. Fire, explosion, and severe burn hazard. We aim to source quality products at very competitive prices. The bulk of or products have been in the vaping market as the MD has been involved in this industry in one way or another from 2009. HIGH QUALITY - SPECIAL OFFER - SALE !!! Impact resistant structure. ARB-L18-3500U battery features Busy periods may take a little longer! 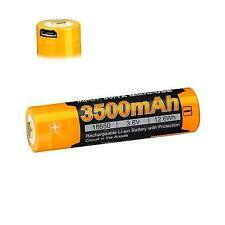 Real 3500mAh capacity, ultra-durable. Cell: Panasonic-Sanyo NCR18650GA. Money back. Within the local. Real 3500mAh capacity, ultra-durable. Best Quality. Money back. Within the local. Capacity: 3500mAh. 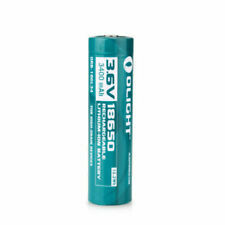 The 18650 battery ensures your safety and peace of mind with a range of safety features. Keep out of reach of children. When charging or using ensure the positive and negative ends correspond with the positive ( ) and negative (-) symbols. 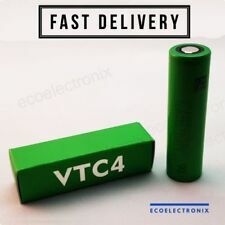 Version VTC4 C4. Nominal Capacity : 2100mAh. Battery Temperature : 29.4C by 10A constant CC Load. Internal Resistance : 0.04-0.05 Ohm. Battery Rate : 14C. Safe run up to : 110 Watts Cont. and 185 Watts Pulse. · Model: 30Q. 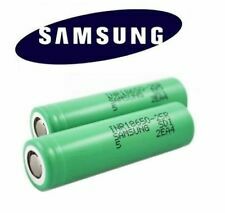 3X Samsung 30Q 18650 3000mAh. 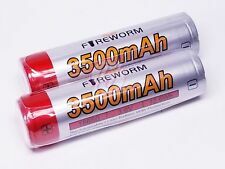 · Nominal Capacity: 3000mAh. · Size: 18650. 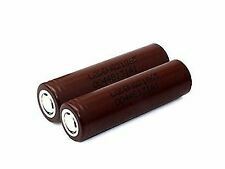 For vaping at lower amperages (15-20A), you'd be hard-pressed to find a finer battery. 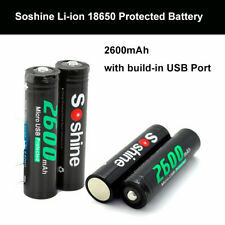 Soshine Li-ion 18650 Protected Battery 3.7V 2600mAh with Built-In Micro USB Port. 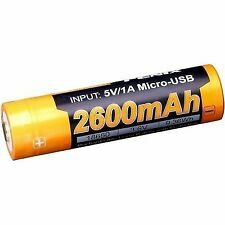 Capacity: 2600mAh. 1X 18650 Battery Case. A protective circuit is built into the anode. - Protection circuit built in the anode. The Nitecore NL1834R is an 18650 battery with an integrated micro-USB charging port and a capacity of 3400mAh. The NL1834R has a range of safety features. Capacity: 3400mAh. Externally, the battery is equipped with a gold plated, stainless steel protector which ensures high impact resistance, good electrical conductivity and oxidation resistance. 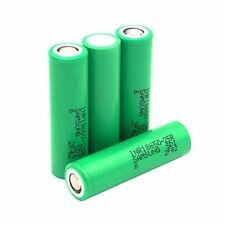 4 Genuine Sanyo 18650 NCR18650GA 10A 3500mAh Li-Ion Battery - UK. Rated capacity: 3500mAh. It's a popular choice for electric vehicles, electric bicycles/scooters, flashlights, and vape pens. Standard capacity: 3450mAh. Sony VTC4 IMR cells have a much lower internal resistance than regular 3.7V lithium ions. If you're looking for 18650 batteries, the Sony VTC4 is perfect for any application because of its high efficiency and high drain features. Real 3000mAh capacity, ultra-durable. Best Quality. Money back. Within the local. Real 3000mAh capacity, ultra-durable. Money back. Within the local. Fit toBlack & Decker Li-Ion 3.6v - 3.7v Screwdrivers. 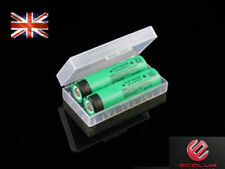 Replace older models 1.3Ah, 1.5Ah, 1.6Ah with better and long lasting Battery. Replace your old battery models with Capacity 1.3Ah, 1.5Ah, 1.6Ah, 2.0Ah, 2.1Ah or 2.5Ah. Specifications: Brand: Klarus Model: 18GT-36 Capacity:3600mAh Voltage:3.6V Charging current:Recommended: 2000mA, Maximum: 3600mA Working temperature:-10-60°C Continuous discharge:7A Charging Current:3.6A Weight:50g Package included: 1x Klarus 18GT-36 18650 3600mAh Battery Brand KLARUS Model 18GT-36 Chemical Composition Li-Ion MPN Does not apply UPC Does not apply EAN 6954424401766. The NL1826R has a capacity of 2600mAh and is compatible with most 18650 based lighting tools, including a huge range of the Nitecore torches. The battery has several safety features for your protection and peace of mind. 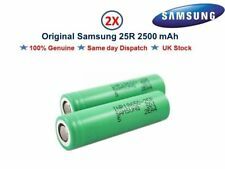 Samsung 25R 2500 Product Specifications 2x Samsung 25R 18650 Unprotected High Drain Batteries. Capacity : 2500mAh 9.25WH. Charging Cycles : > 500 cycles ( 80% after 500 cycles). Battery case included. Impact resistant structure. ARB-L18-2600U battery features Busy periods may take a little longer! Description: Brand new and high quality With Protection Circuit in the anode Specification: Brand: Fenix Model: ARB-L18-3500 Voltage: 3.6V Power: 12.6Wh Charging current: 1A (recommended), 2A (max) Capacity: 3500mAh General Precautions: 1. Do not expose the battery to heat or throw it into water..
Nominal Capacity 3000mAh. Do not use force to install a li-ion battery. Charging Current (Std.). Charging Current (Fast) 4000mA. Discharging Current (Std.). Discharging Current (Fast) 10000mA, 20000mA.